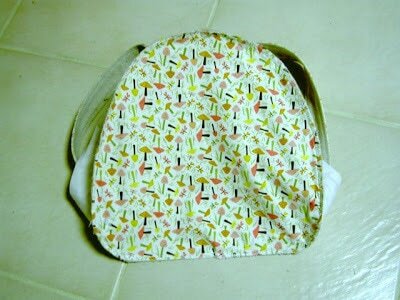 Canvas backpack with fat quarter fabric. 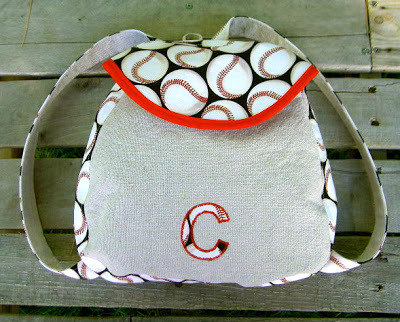 With a monogram because EVERYTHING must be personalized these days. These are for my niece and nephew. A little summer fun gift. 1. 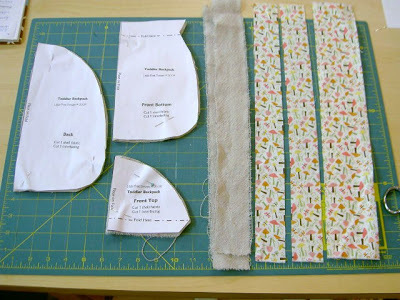 Using the basic pattern from here cut out your pieces. 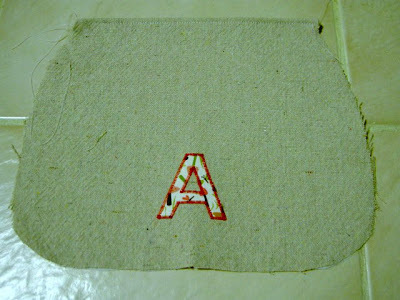 Plus fusible interfacing for all pieces. 2. 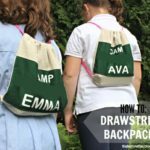 Sew your straps, right sides together of one canvas and one print then press open, press seam allowance in for other side and straight stitch. 3. 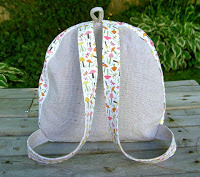 Attach straps to canvas back piece, I also added a loop of canvas at top. 9. 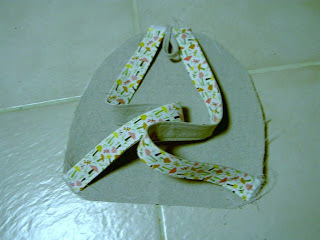 Attach front flap to side piece at top, lining up to be centered. 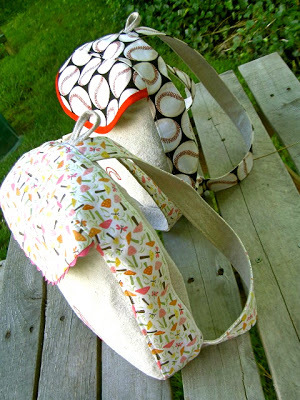 I used big snaps on these backpacks. 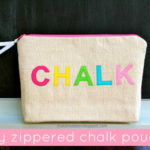 Magnetic purse closures would be great if you remember to insert them before construction. 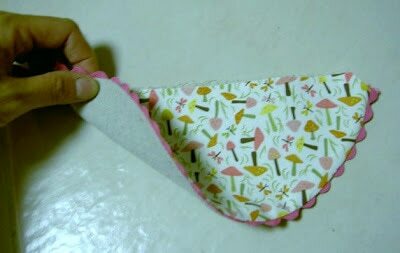 To make it fun for my kids at the fabric shop I let them each pick a half yard of fun fabric and then promise to make something with it. Making some fun summer memories. 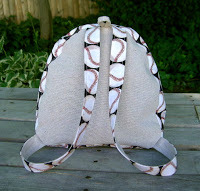 I’m linking up to: http://www.theshabbychiccottage.net/, The 36th Avenue. Ahhhh they are they are the sweetest. those are too cute! emmy would especially love that! 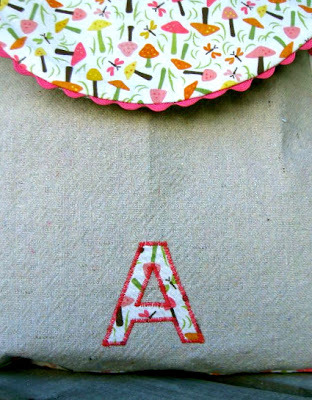 I just found your blog…loved looking at all your wonderful projects. 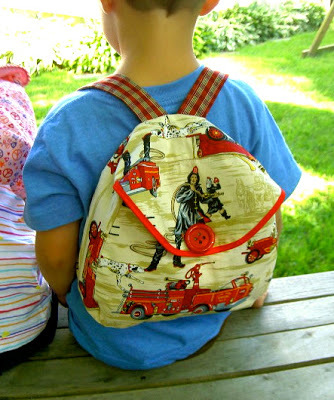 The backpacks are so adorable!! 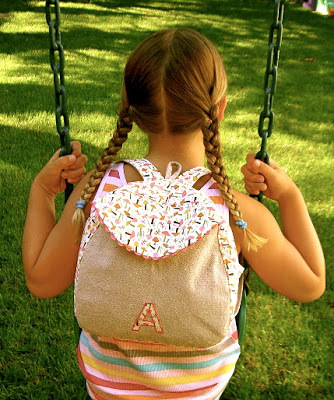 Darling backpack and darling blog…so glad to have found you! 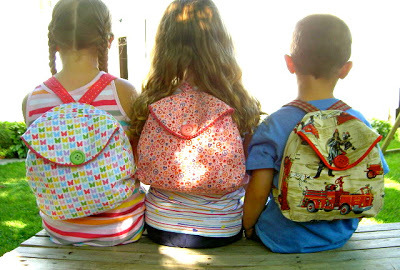 Those are the cutest darn backpacks I have ever seen!!!! Those are adorable! What kid wouldn't want one? How adorable! Can't wait to give it a try! 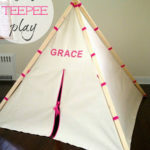 Definitely adding this to my "To Make" list. Thanks so much for sharing. I love the canvas. 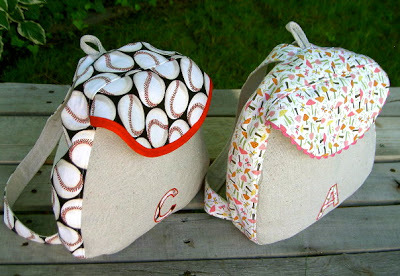 I would love to make these for my nieces and nephews. They would think I was so cool!! 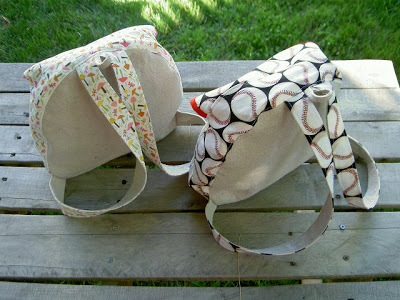 Too bad I don't know how to sew, I have really got to learn. LOVE them! 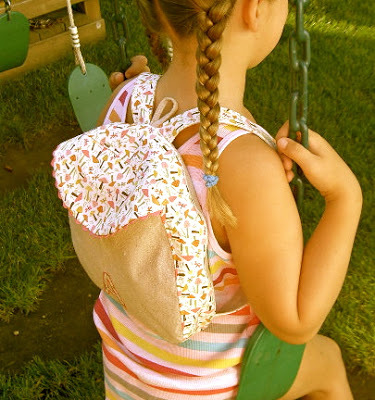 These backpacks are fabulous! Great work – and you make them look so easy! Thanks for sharing the tute! Thank you for sharing! I might get up the courage to try this. 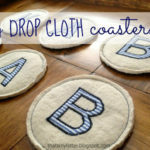 I would love it if you would link up to my Tuesday Confessional link party going on now: http://www.craftyconfessions.com/2011/07/tuesday-confessional-link-up-2.html. I hope to see you soon! 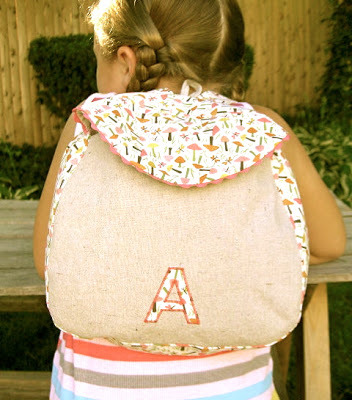 What ADORABLE backpacks! Your niece and nephew are so lucky! If you get a chance, I'd love for you to share them at the Tuesday To Do Party! Stopping by from Shabby Chic Cottage, Transformation Thursday. 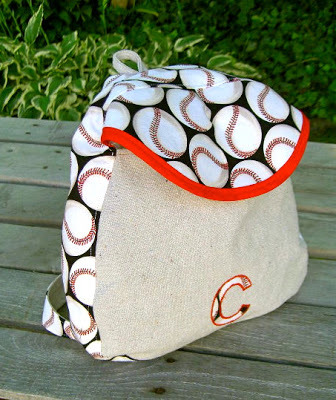 I'm working on totes using canvas and print fabric, so this caught my eye, you did a fabulous job! The kids will love them! 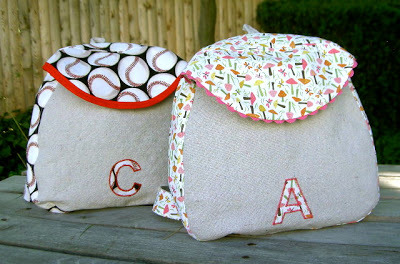 This is a really cute idea…and if you sew, a great gift idea for someone!!! I can't wait to try this out! Thank you for sharing! 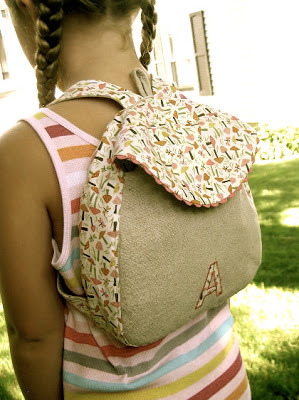 I have been wanting to make my daughter a new backpack. Right now she has a hideous furry one with a 3D butterfly! 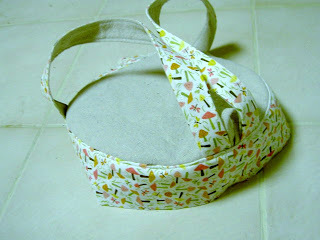 I am pinning your awesome tutorial so that I can find it again when I get a spare minute to sew. Thanks for sharing! I almost bought a backpack today! 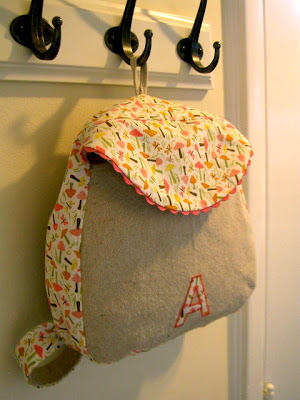 now these are cute and i will try to make my own! these are just darling! adorable! such a sweet gift idea. Thanks for the great tutorial! I just made one for my son for Christmas. He's really going to love it! Ahhhh! 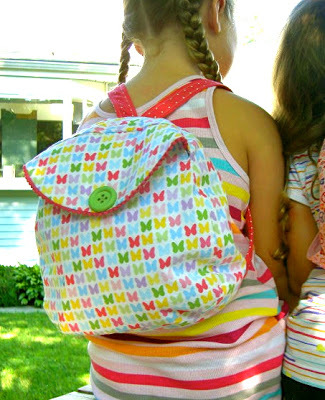 I will be your BFF if you could tell me the name of that m multi-colored butterfly fabric?? I got a fat quarter of it about 6 months ago and the info was NOT on the selvedge! And now I've used it all and want more!! These are adorable. 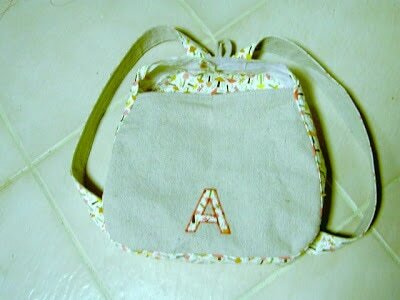 I can't wait to make one for my granddaughter who will be starting pre-school for the 1st time in September. These are adorable!!! I'm making two right now. I ran into a snag though. The length that you gave for the side piece is about an inch too short. At least, it was for me. Hope this helps others. 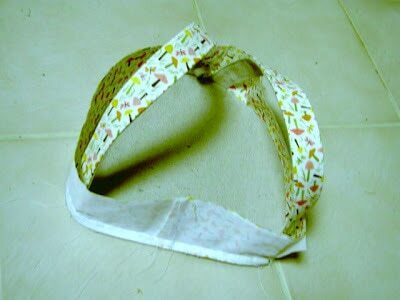 Also, did you sew the ends of the side seam together before you sewed it to the back?